Pir Zalman Sulayman Schachter-Shalomi (Reb Zalman), primarily known as the Rebbe and father of the Neo-Hasidic Jewish Renewal movement, is widely considered one of the world's foremost authorities on Hasidism and Jewish mysticism, and recognized as a pioneer in ecumenical dialogue. Born in Poland, 1924, Reb Zalman descended from a distinguished family of Belzer Hasidim and as a teenager he became a Hasid of the HaBaD lineage. He was later ordained by HaBaD-Lubavitch in 1947. After working for several years as a congregational rabbi, in 1956 he earned his MA in psychology from Boston University and began his teaching career at the University of Manitoba. In 1968, he would also earn his DHL from Hebrew Union College, focusing on counseling in the Hasidic tradition. He is now professor emeritus of Psychology of Religion and Jewish Mysticism at Temple University and World Wisdom Chair holder emeritus at Naropa University. He is the author of Spiritual Intimacy: A Study of Counseling in Hasidism, Wrapped in a Holy Flame: Teachings and Tales of the Hasidic Masters, and the forthcoming A Heart Afire: Stories and Teachings of the Early Hasidic Masters. AROUND 1964, Rabbi Zalman Schachter, disciple of Rabbi Yosef Yitzhak Schneersohn (1880-1950), founded the first Neo-Hasidic community. It was called, B'nai Or ("Children of Light"), a name was inspired by the newly discovered Dead Sea Scrolls which mention the "Children of Light" (associated with the early Hasidim of Qumran) who are pitted against the "Children of Darkness." In time, this small community grew into the widely influential Jewish Renewal movement. At the same time, however, Schachter also began to study Sufi sources and to associate with the Ruhaniat Sufis of Murshid Samuel Lewis (1896-1971) in Southern California. 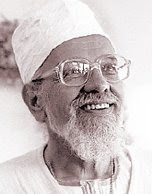 He soon formed a friendship with Pir Moineddin Jablonski (1942-2001), the successor of Samuel Lewis, and in 1975, after several years of study, finally requested initiation into the path of Inayati Sufism. Pir Moineddin assented, but preferred that Schachter be initiated first by Pir Vilayat Inayat-Khan (1916-2004), the son of Inayat Khan. Though he did not yet know Pir Vilayat, he agreed and the initiation was soon arranged. The day of the initiation, he took the ritual bath and dressed in his best Hasidic caftan and fur hat. He met with Pir Vilayat and proceeded with the initiation. However, to his surprise, in recognition of his knowledge and spiritual status within Hasidism, Pir Vilayat bestowed on him the title of Sufi "sheikh." The following year, Pir Vilayat requested and was granted an initiation from Schachter into the priesthood of Malkhitzedek, being made a kohen l'Ey Eliyon, "priest of God, Most Migh." From that time on, Schachter remained close to Sufi circles, associating with numerous Sufi orders and forming relationships with several renowned Sufi masters - Sheikh Muzaffer Ozak of the Halveti-Jerrahi Tariqat, Murshid Sidi Hasan al-Moumani of the Qadiri-Rifai Tariqat, Sheikh Mehmet Selim of the Malamati Tariqat, and Bawa Muhaiyaddeen of Qadiri Tariqat - even as he continued to function as a Rebbe (spiritual leader) to the emerging Neo-Hasidic Jewish Renewal community. In the years to come, he would also act in an avuncular capacity to many muridun of Murshid Samuel Lewis and Pir Vilayat Inayat-Khan, working with them and giving spiritual counsel as was needed. Closest among these was Murshid Thomas Atum O'Kane. However, Schachter would not initiate a personal murid until 2000, when he gave bayat to Netanel Miles-Yepez, and agreed to act as his murshid. From that point on, the Inayati-Maimuni Tariqat of Sufi-Hasidim began to take shape around the needs of this relationship. Because both Sufism and Hasidism were at the heart of the relationship, the teachings and practices were a fusion of both traditions from the very start. In 2002, Schachter-Shalomi made Miles-Yepez his khalif or "deputy" in the Sufi path and he too began to guide muridun under Schachter-Shalomi's guidance. Here is a history of original Maimuni Lineage, the Chishti-Nizami Lineage, the HaBaD-Lubavitch Lineage, the Inayati Linage and finally the Inayati-Maimuni Lineage. i read earlier about Reb Zalman's connection with sufism, specially the friendship between him and late Sufi master Sheikh Muzaffer Ozak of the Halveti-Jerrahi Tariqat. Then last month while Shaykha Fariha was visiting Boulder, in the sufi remembrance gathering, Reb Zalman was present where i saw him for the first time. Although i never saw him before, he looked remarkably familiar to me (with other unknown reasons, one reason perhaps, as i later realized is because he looks very similar to my late grandfather). i was delighted to know that Reb Zalman now lives in Boulder. so i contacted him for an interview for the blog and with much delight i was given permission to meet him at his office. it was truly fascinating to discover that Reb Zalman is both Pir and Shaykh of different sufi lineage. Undoubtedly he is one of the most brilliant mind, a gifted scholar on mysticism and a major spiritual elder of our time. 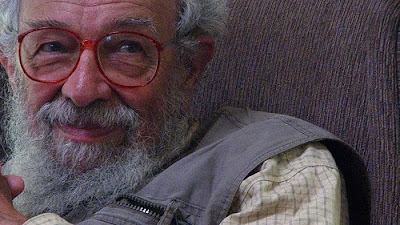 i had deep interest in his work on Jewish Renewal and also in his profound wisdom how he envision the place of mysticism, its integral role for the new humanity. Reb Zalman, with many of his ongoing projects, teachings and continuous invaluable work - is extremely busy. Yet out of generosity he gave me permission for a brief interview which he called "Fatiha" or Opening. During the opening sitting at his basement office in Boulder he spoke about his first interest in sufism, how a new sufi lineage (The Inayati Maimuni Tariqat of Sufi Hasidim) came into birth, the nature of mysticism and his thought about the need of renewal of religious traditions. God willing, soon i will post from the interview.
. What is Jewish Renewal?